If there's one thing Prague is known for, it's beer. But that doesn't mean the locals just sit around and drink it. 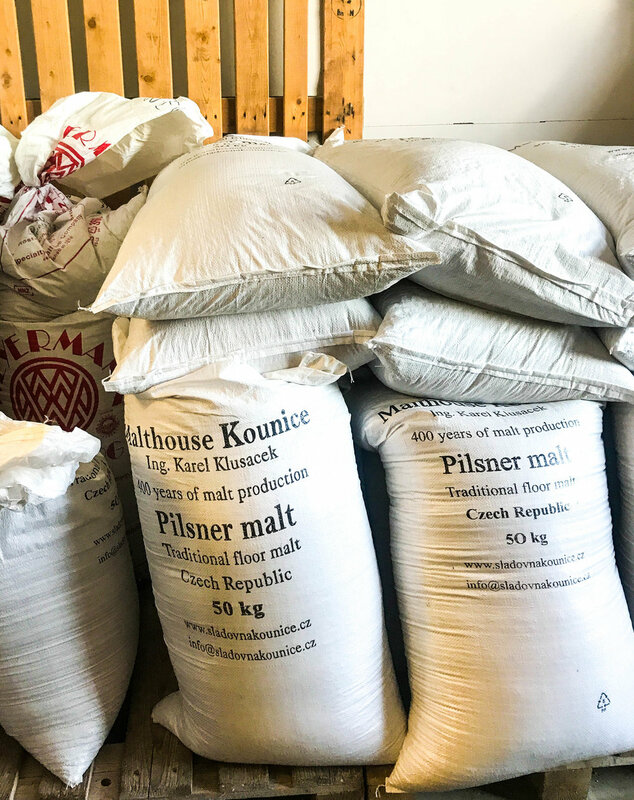 From beer-themed meals to beer spas, I've rounded up the city's most interesting and worthwhile ale activities to help you drink like a local in Prague. Strahov Monastery Brewing got its start centuries ago when the monks began brewing beer. The brewery was damaged by war, and was rebuilt in 2000 as a modern restaurant and brewery. There are four beers on tap... three that are always offered, and one seasonal. Their St. Norberts IPA was my favorite, but all of the beers we tried were unique, flavorful, and drinkable. Strahov is just a short walk from the back of the Prague castle... and trust me, after hiking up all those stairs to get to the grounds, you'll want some good food and an ice-cold beer. The restaurant has indoor seating as well as a cute outdoor patio equipped with heat lamps and fleece blankets for chillier months. The food is standard Czech - but many of the dishes had something in common... they were made with Strahov beer! So we decided to do as the locals do, and try a beer-themed three course meal. First up was the beer onion soup served with cheese toast. This was somewhat similar to French onion soup, but the broth tasted more like beer than beef. It was hearty, flavorful, and the perfect choice for a cool fall day. For the main course, there were a few different dishes made with beer, including pork tenderloin, roasted duck, chicken, and pork ribs. The pork ribs marinated in beer seemed to be the most raved about meal at Strahov, so we went with that. The ribs were tender and easy to eat, and the sauce was the perfect mix of tangy and sweet. The ribs also came with three different types of dipping sauce - chili, plum, and my personal favorite, garlic. You might be wondering how the beer-infused food will continue into dessert. 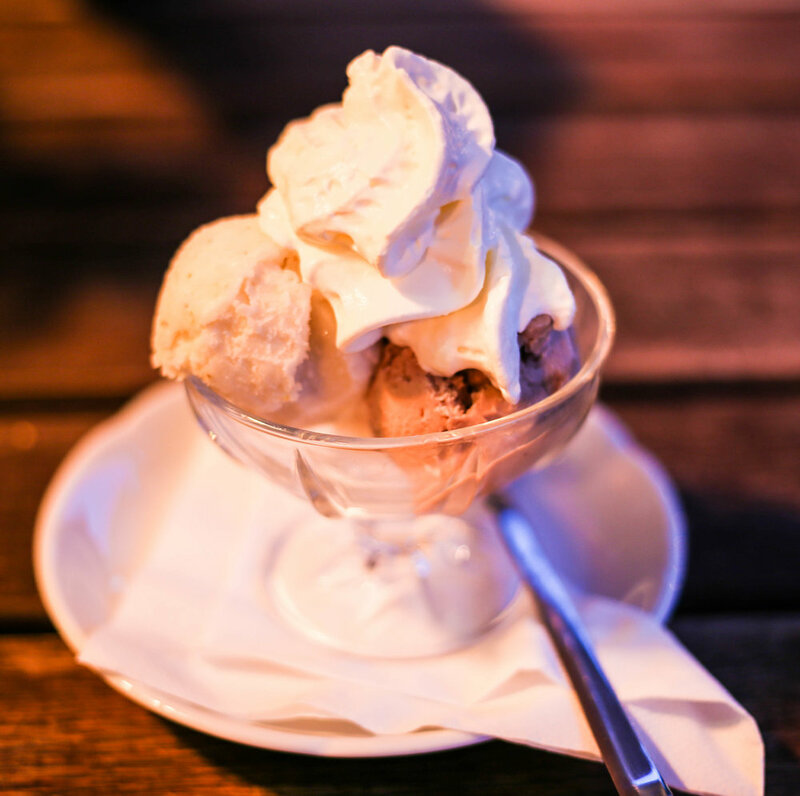 But Strahov offers a beer ice cream sundae - which tasted much better than it sounds. The ice cream sundae came with three scoops of ice cream - each made with a different beer. We dubbed the flavors vanilla, chocolate, and pear - but don't take my word for it 🤷 Overall Strahov was delicious, fun, and worth checking out. Usually when you think of spas, beer isn't the first thing that comes to mind. But Prague's unique beer spas combine the two into a relaxing, fun, one-of-a-kind experience. What makes a beer spa different? Well, you actually soak in beer! Hops (or wine) are added to oak tubs, where you can sit, relax, and sip on unlimited beer. When you're finished soaking, you can chill out by the fire on their wheat straw bed, sweat it out in the Hop Sauna, or schedule a massage. It's the perfect way to relax like a local 💆 Just make sure to book in advance - the beer spas usually fill up pretty quickly. Restaurants where trains deliver your drinks might usually target kids, but in Prague, they make it all about the beer. Located in central Wenceslas Square, Vytopna Railway Restaurant delivers your beer via train. The train runs on a track around the entire restaurant, through tunnels, on drawbridges, and around rock formations, until it stops right at your table. So fun! Vytopna serves mainly pizzas and some traditional Czech dishes, but the food wasn't really anything to write home about. I'd give this place props for being good (and affordable) for families, but if you're just going to check out the train, stick to drinks and a snack. The biggest reason Czechs are so serious about their Pilsner? They invented it! 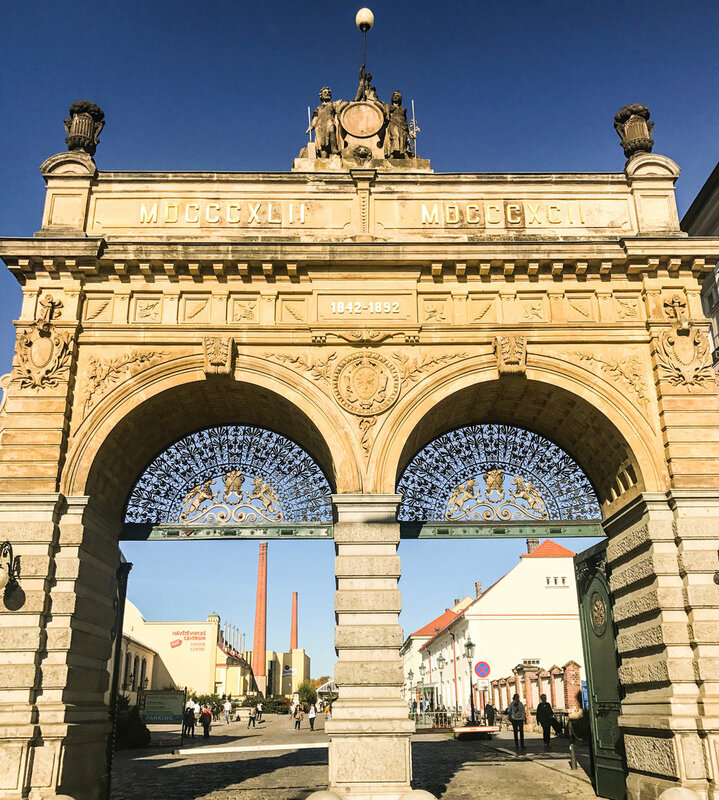 In 1842, Pilsner Urquell brewed the first golden Pilsner right near Prague in the small town of Pilsen. Trains leave from Prague pretty regularly, and within an hour and a half you can make your way to the city that started it all. If you do the brewery tour, you can get and up-close look at everything from the bottling plant, to the ingredients used, and the vats where the beer is aged. 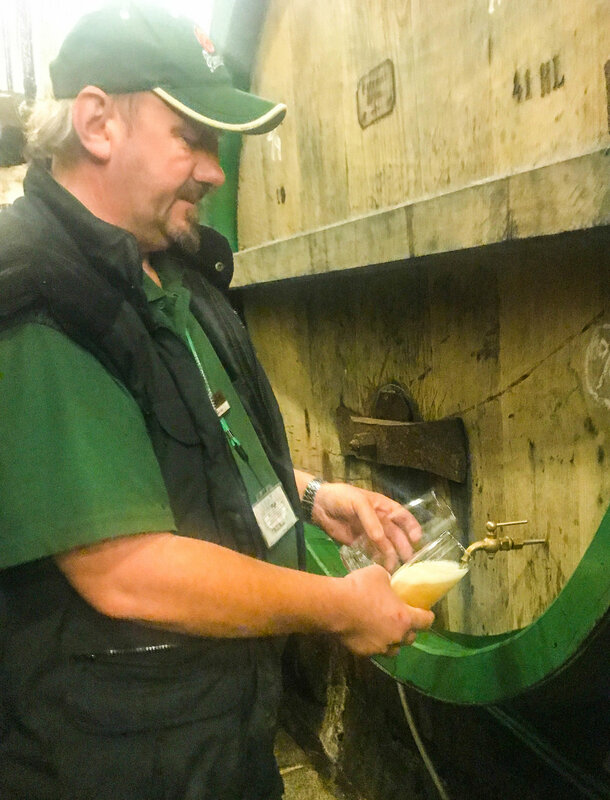 At the end of the tour, you'll venture into the underground caves where they store the beer, and have the chance to try an unfiltered beer right from the barrel. Just remember to bring a coat, it's cold down there! The locals may favor Pilsner, but that doesn't mean they don't venture out for a craft beer every now and then. Pivovar Raven brewing in Pilsen offers up craft beers using local ingredients that are as unique as they are delicious. The owner, Mike, took us on a tour of the microbrewery - which was completely different from Pilsner Urquell. While Pilsner Urquell hasn't changed their recipe, well, ever, Pivovar Raven isn't afraid to experiment with one-of-a-kind flavors. We made sure to try as many as possible, and they did not disappoint!